Accenture Interactive Programmatic Services, will include the planning, buying, and management of programmatic ad campaigns. While the consultancy has been working with clients to help bring programmatic digital ad-buying in-house, the new offering, Accenture Interactive Programmatic Services, will include planning, buying, and management of programmatic ad campaigns. It aims to help clients ‘take control and ownership of their data and technology, providing them with greater transparency and enabling them to achieve greater business outcomes and regain trust’. Accenture Interactive said it can now help design, build and staff in-house trading desk capabilities, or run full service global digital media campaigns for clients. It includes three core services: Programmatic consulting and in-housing involving building long-term programmatic strategies, in-sourcing technology, reinventing operating models, and delivering internal capabilities; media strategy, planning and activation, including running transparent and scaled paid media campaigns across search, social, video, display; and adtech implementation and support to help deliver experiences at scale and providing infrastructure as-a-service. Accenture Interactive global CEO, Brian Whipple, said clients have been asking Accenture to help them drive greater efficiencies with their programmatic media spend, specifically digital media. “Consistent with our mission to create, build and run the best customer experiences on the planet, we are enhancing Accenture Interactive Programmatic Services to complement our full suite of experience services. We are already focused on all the pieces related to media placement so it was a natural extension for us to help our clients deliver more hyper-relevant customer experiences through digital media,” he said. According to research ‘Programmatic In-housing: Benefits, Challenges and Key Steps to Building Internal Capability’ by the Interactive Advertising Bureau (IAB), 65 per cent of companies buying media programmatically have brought the capability in-house. The report also found marketers who purchase digital ads programmatically have either completely moved programmatic buying in-house (18 per cent) or have partially begun the process of internalising the function, with plans to continue further down the path (47 per cent). Accenture Interactive global lead of programmatic services, Scott Tieman, said advertisers are reacting to the changing media landscape and want to move beyond the status quo and take back control of their media capability. “We believe we can help our clients do things differently. Accenture Interactive has an offering that is highly differentiated in the market and is built on a foundation of trust and transparency. We have the ability to leverage Accenture’s global footprint and capabilities to integrate strategy, creative, data, technology, and analytics together to drive superior results,” he said. 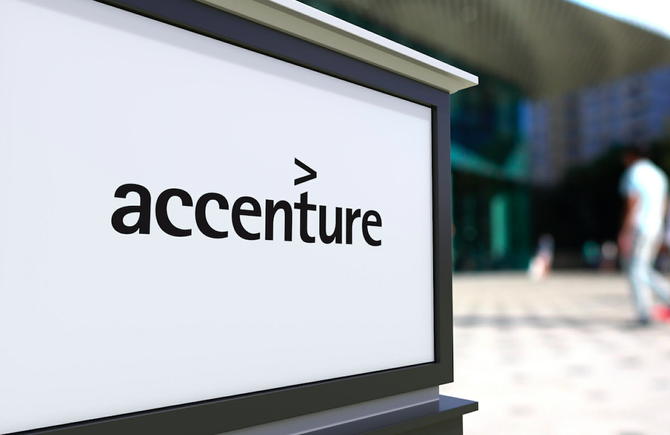 Accenture Interactive’s revenue grew 35 per cent to $6.5 billion last year. The group has been on an acquisitions frenzy, picking up creative and design agencies, The Monkeys and Maud, as part of its strategy to boost its marketing agency reach this time last year, the 12th acquisition Accenture Interactive made since 2013 to expand the reach, scope, and depth of its end-to-end customer experience services globally.